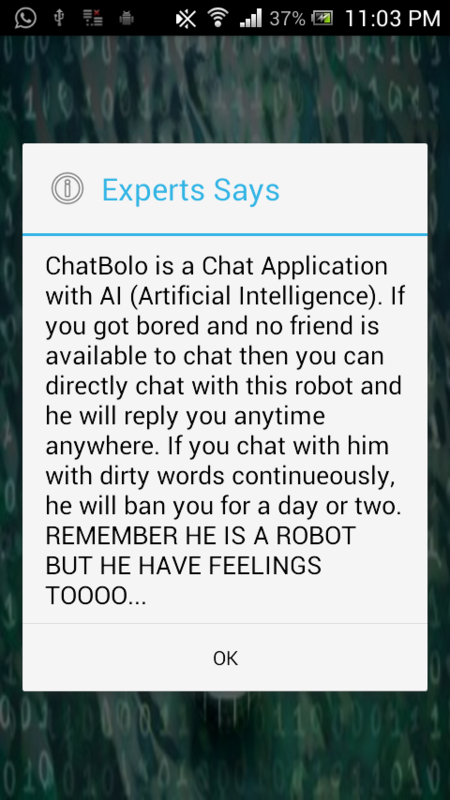 Chat Bolo is a Chat Application with AI (Artifitial Intelligence). 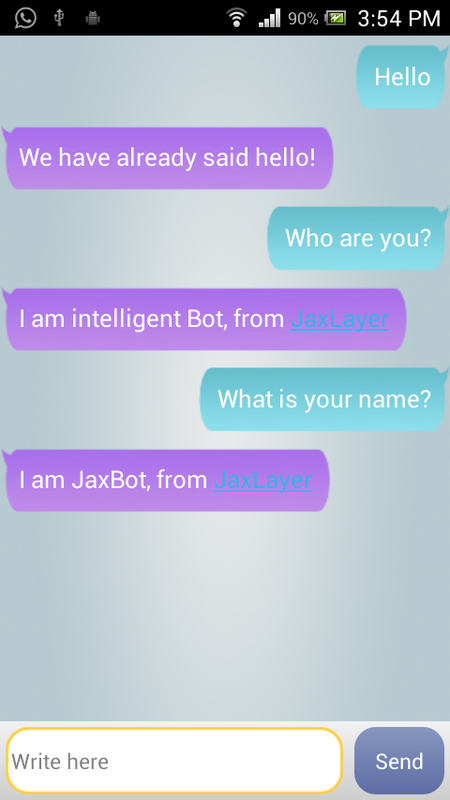 Any body can chat with this chat robot. 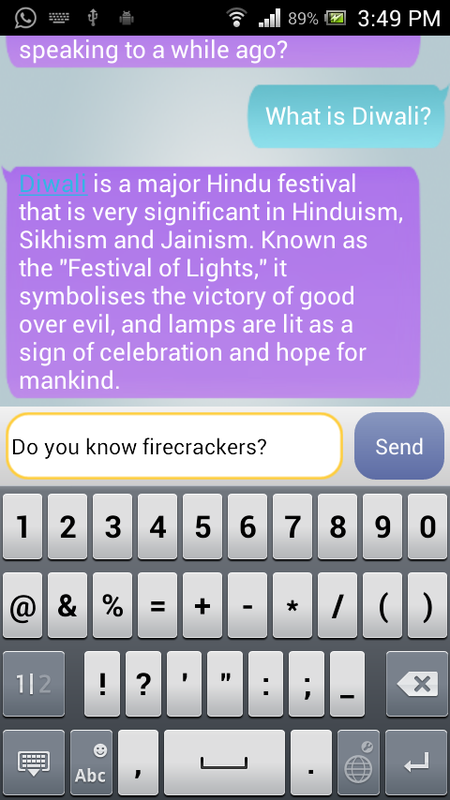 Chat bot will think and give answers depending on that. If you got bored and no friend is available to chat then you can directly chat with this robot and he will reply you anytime anywhere. ChatBolo app is a clever bot Enjoy it....!!! 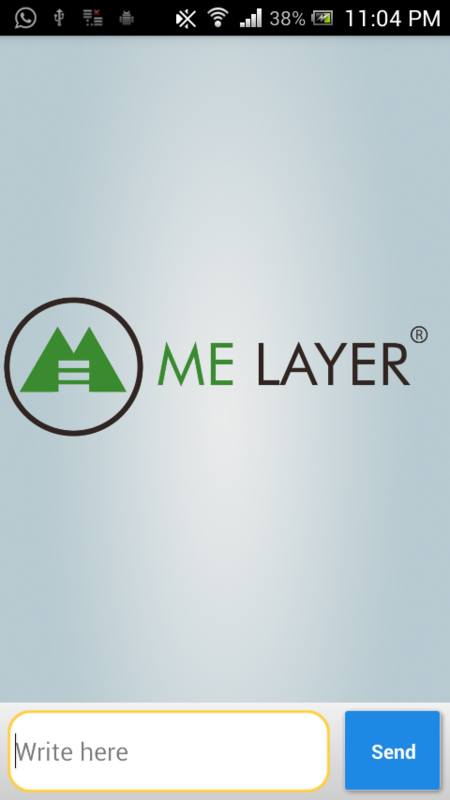 If you are feeling alone, feeling bored, no friend is available to chat or no one replying you but still you want to chat with someone, then you can use this Chat Bolo so that you will communicate with our Intelligent Chat Robot.You will get feel that you are chatting with your friend . Our Chat Bot will never neglect you, it will reply you all the time.